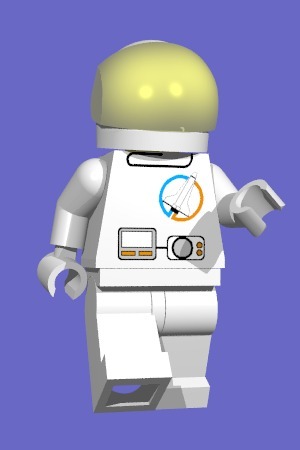 That space minifig is about all I've done with the LEGO Space theme. 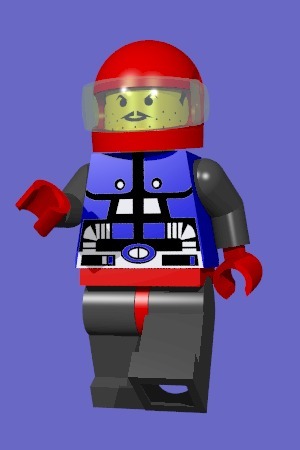 I don't really like the modern LEGO Space designs and all of the large space vehicles I had as a child are long gone. Somehow Jer and I ended up with some space-like stuff, though. I got the 6889 Recon Robot for Christmas and used the minifig to draw one of the Spyrius shirt designs myself in XPaint. Jer ended up with one of the NASA astronauts and threw that in with a batch of Islander shirts. After an afternoon of modelling the new style helmet, voila, some space explorers. If you'd like to see additional links here, please mail me URLs that you think would be appropriate.